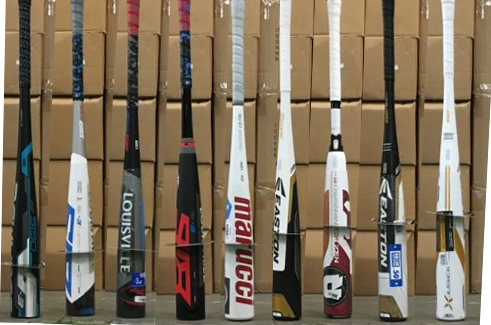 After measuring every barrel in the 2018 lineup of baseball bats, and categorizing them by type and length, we have found the Easton Ghost X as the bat with the largest barrel in more categories than any other. Of the 21 categories we detail below, the Easton Ghost X is the largest barrel in 10 of them. It is the second largest barrel in 7 others, putting it in the top 2 barrel sizes for 17 of 21 of the barrel size categories. 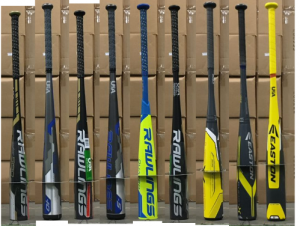 If barrel size is the main determinate in your bat buying factor, then the 2018 Easton Ghost X is the bat for you. In 17 of the 21 categories of bats we measured, the Ghost X boasts the biggest or second biggest barrel in its category. A word of caution: Before you get too excited about the pictures you are about to see, let us point out that barrel size is NOT sweet spot size. And although we are capable of measuring a bat’s barrel length with some pretty simple paper donuts discs, measuring the true sweet spot is a far harder task. In some measure we are confident the sweet spot and barrel size are related. But, by no means are they one and the same. The 2018 CF Zen was top two in 8 of the 21 categories we measured for biggest barrel. It is a reasonable runner up and a fantastic bat. 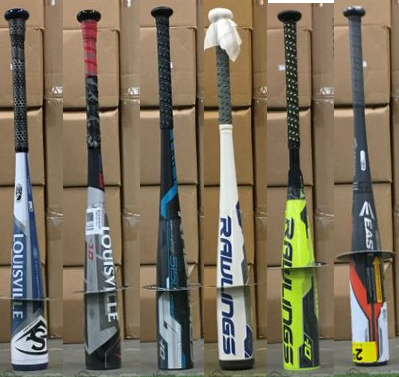 That said, we understand many folks want to know how barrel size compares—especially when trying to decide between two bats that appear similar. These rankings may be helpful in those situations. But—and this is our fair warning—don’t expect a bigger barrel to imply a better bat. 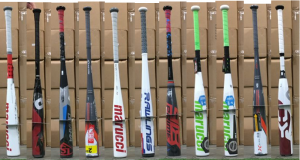 Feel, swing weight, performance are much more significant factors than barrel size when comparing bats. Also, do note that several of the barrel lengths below are very, very close. As such, take the rankings with a grain of salt in some cases. Although we did our best to keep camera angles consistent our work wasn’t perfect. And what do milometers in barrel size really prove anyway? 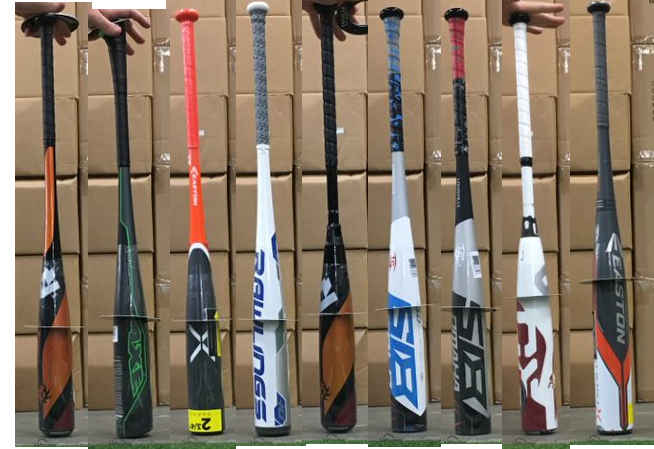 The 32 inch Easton Ghost X in the USABat version is not just the largest barrel for any USAbat on the market for 2018. It is also the biggest 2 5/8 barrel on the market in total ever. You read that right. 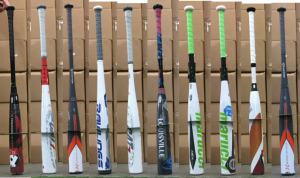 Since measuring barrel sizes in the last 5 years, there has not been a single BBCOR or USSSA bat with a larger barrel than the drop 5 USSSA Ghost X USABat (in the 2 5/8). Simply put, after measuring just about 2 5/8 barrel in the last 5 years we can safely say the Drop 5 Ghost X has the largest 2 5/8 barrel ever. 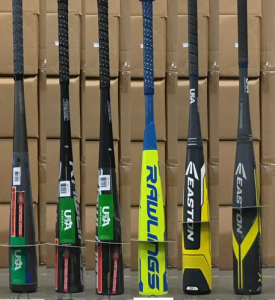 The 2018 USSSA Big Barrel world is HUGE. 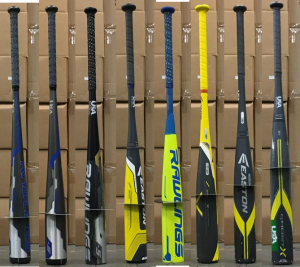 From drop 12, 10, 8, and 5s to 26, 27, 28, 29 30, 31 and 32 inch bats. 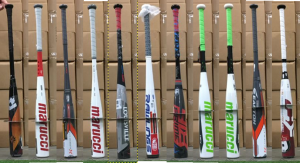 (There are also a couple 33 inch bats in the Voodoo and the Maxum). And we took the time to measure everyone of their barrel sizes and put them by category below. It is fascinating that the barrel rankings to not stay true throughout the line. The fact the Easton Ghost Drop 8 may win at one length does not necessarily mean it will win at another too. The below lists should be sorted by barrel length. 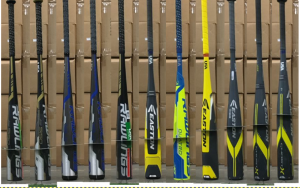 Special thanks to Closeoutbats.com who let us on site and, after way more work than was reasonable, helped us get images of every bat on the planet for 2018. These images are property of Just Bat Reviews and protected under creative licenses.